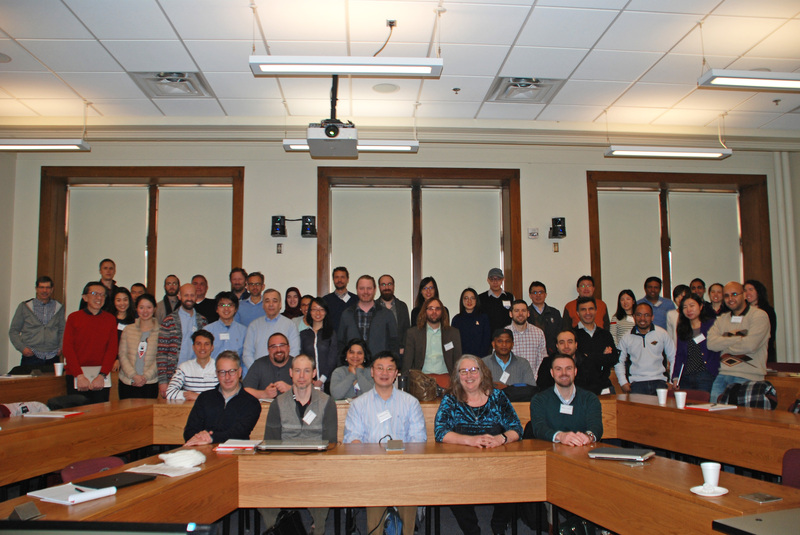 We are pleased to announce that The Business and Economic Statistics Section of the American Statistical Association is providing funds to award best poster prizes at the workshop. Abolfazl Safikhani for "Joint Structural Break Detection and Parameter Estimation in High-Dimensional VAR Models"
Maryclare Griffin for "Testing Sparsity-Inducing Penalties"
Wenqian Wang for "Partially Specified Spatial Autoregressive Model with Artificial Neural Network"
Complex and big data permeate nearly every area of science, engineering, business, and medicine. Enhanced monitoring and measurement systems provide data at high enough resolutions that observations can often be considered intrinsically continuous or functional. Massive environmental, biological, industrial, and computational networks are being dynamically recorded so their intricate evolutions might be succinctly monitored, studied, and maintained. Vast datasets are generated from sensors, brain monitoring and imaging devices, GPS, RFID, medical devices, and emergency and energy systems to provide rich information about untold aspects of the modern world. Much of the arriving data will be sequential, time-ordered, spatially referenced, and exhibit complex dependencies. This workshop will bring together experts and early-career researchers from diverse areas to discuss state-of-the-art forecasting methods for data-driven industry applications and scientific discovery.